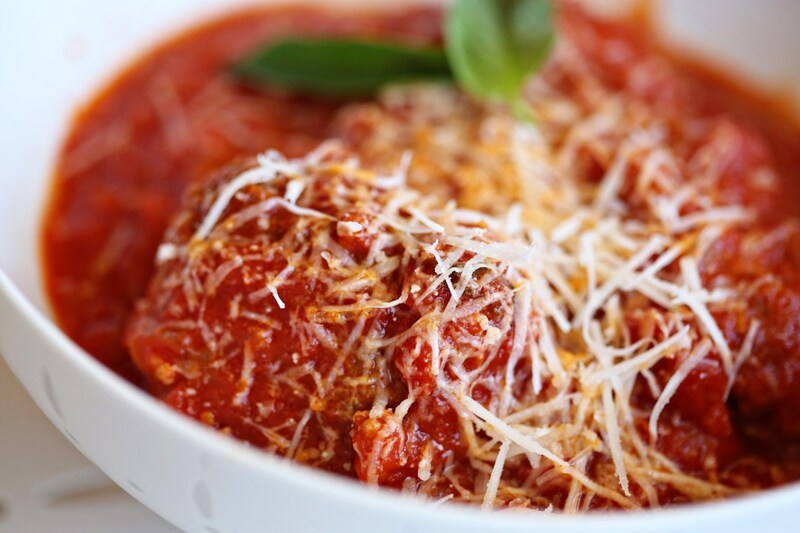 This entry was posted in Baby Food Recipes, Cheese, Cooking Tips, Hearty, Meat Dishes, Musings and tagged basil, beef, cheese, Frankie's meatballs, garlic, italian, marinara, martha stewart, meatballs, Michael Kors meatballs, onion, oregano, pork, Rao's Marinara. Rao's Manhattan, sauce, spaghetti and meatballs, tomatoes. Bookmark the permalink. 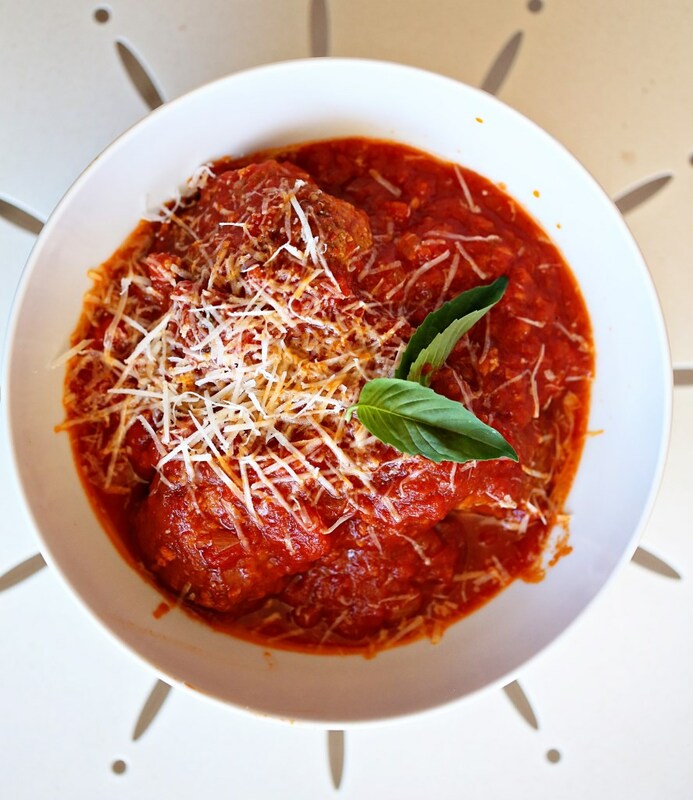 okay – so if you were going to freeze a batch of meatballs, and then say, in 2 months busted them out of the freezer…how would you defrost and prepare them? I don’t know why I’ve never learned this. I’d fully cook them before freezing, then freeze them separately from the sauce and probably double-bagged to avoid freezer burn. Then, I’d set them out to thaw and then make my sauce and let the meatballs gently warm in the sauce until heated through. We made these last weekend for our anniversary. It was a kind of rainy day and the kids were with the grands, so I had plenty of quiet time to squish tomatoes. 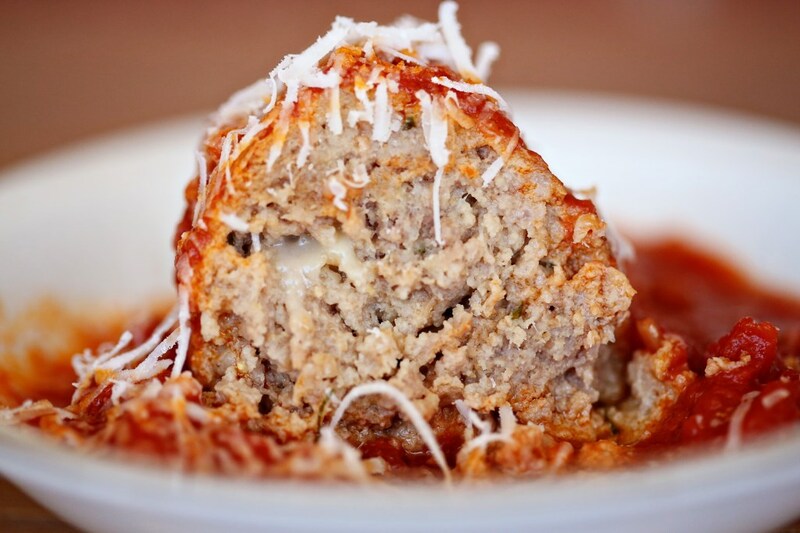 The meatballs were so good, we almost ate them without the sauce. But then the sauce finally finished up and it was soooo good too. I froze the rest of the meatballs, thinking we’d bust them out on a busy week night, but Michael and I kept thinking about how good they were and defrosted and ate them the next night, ha! Haha! That’s awesome, Becky! You’re my kind of people. And yes, next time you’re in town, please please let me know! I want to hear your meeting story!